Here’s a little story about a trio of janitors. Might have heard they worked at a well-known film school. They picked up a few things other than trash. They might hate your movie, or if drunk think it’s cool. Every now and then they get together for a lunch break. Trash talk some movie, or TV, or streaming. Rodney and Jason and Sean – they all clean halls. 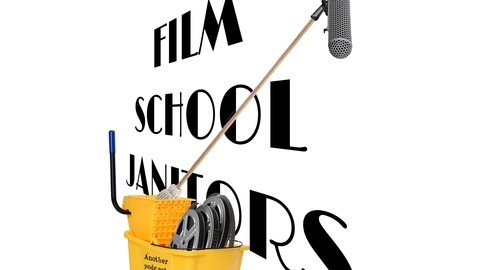 If you listen close you can hear kids screaming: Film School Janitors! 2019 Music from YouTube Audio Library [Aka YAL] 2019 Music provided by RFM: https://youtu.be/8BkqPryqA5Q 2018 Music: https://www.instagram.com/jaelaredd/ At your local top-tier film-and-TV school, these three lurk the halls… sweeping… scrubbing…mopping… What you drop, they pick up. But that’s not all they’re picking up. You see, after twenty years of cleaning up after film students, they’ve learned something – most movies are garbage. So whenever their lunch breaks align, they catch up on the latest Hollywood has to offer. In between taking out the trash, they’re talking trash. 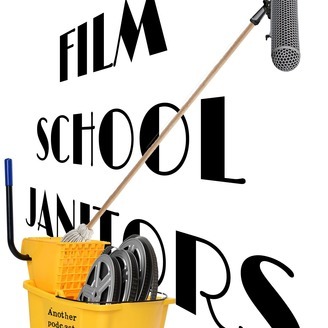 Rodney – Sean – Jason… They are The Film School Janitors. What better way to spend Easter than to listen to some old Film School Janitors reminisce, and complain about being old? BONUS! You also get to hear them invent a new lifestyle concept - "Charge It Back!"